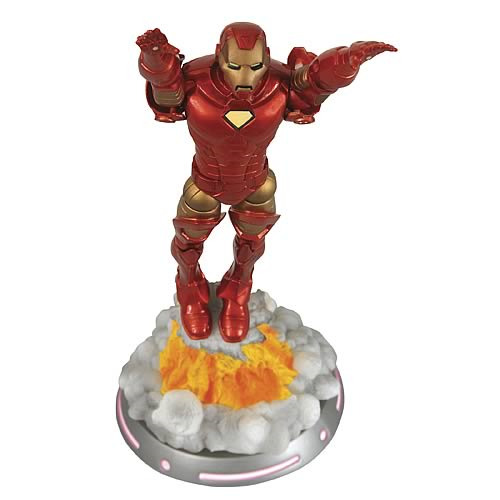 Iron Man gets the Marvel Select treatment… in spectacular fashion! Multiple points of articulation, plus accessories. A heavy hero you can't pass up! Direct from the pages of The Invincible Iron Man, this spectacular, vibrantly colored, and dynamic 7-inch scale figure features the unstoppable shell-head in his current Extremis armor design! Complete with accessories, over 14 points of articulation, and a striking deluxe base, not even the Mandarin can stop this legendary hero as he battles a new era of enemies. This is one heavy hero you can't pass up!